The finches of the Galapagos Islands are the poster animals for Charles Darwin's ideas. On Darwin's voyage he shot and identified a number of species of finch and their variations on the different islands helped give the young scientist clues that hinted toward his theory of evolution. The finches have developed amazing variations to adapt to the different ecology of the various Galapagos Islands, and this book explores that evolution and the scientists who have studied the finches as part of an exploration of how evolution actually works. Darwin, and most natural scientists who came after him, before the late 20th century believed that evolution was a extremely slow process, observable through fossil remains. In part that was because they lacked the tools to see it, in particular the genetic science that is now such an important part of evolutionary science. Even with this science, it is still difficult for the layman to imagine the actual processes taking place which lead to the evolution of one species into another. the more we learn of the nature of things, the more evident is it that what we call rest is only unperceived activity; that seeming peace is silent but strenuous battle. In every part, at every moment, the state of the cosmos is the expression of a transitory adjustment of contending forces; a scene of strife, in which all the combatants fall in turn. What is true of each part, is true of the whole. Thus the Grants suspect that the finches here are perpetually being forced slightly apart and drifting back together again. A drought favors groups of one beak length or another. It splits the population and forces it onto two slightly separate adaptive peaks. But because the two peaks are so close together, and there is no room for them to widen farther apart, random mating brings the birds back together again. It is worth noting Weiner's consideration of environmental conditions here. 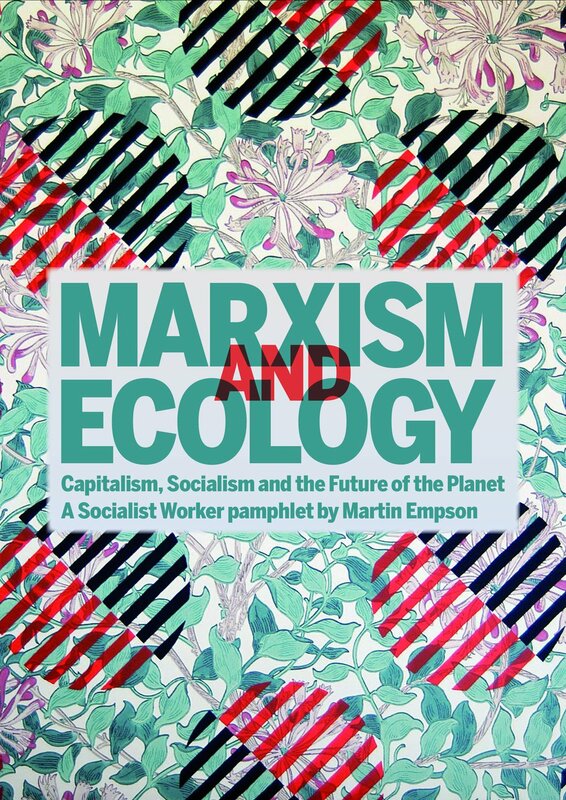 They play a key role in evolution, though he includes other factors such as the role of people bringing new species, or changing the landscape of areas that in turn force changes on other species. Writing in the early 1990s, Weiner doesn't ignore the threat from global warming, though he clearly could not foresee the amount of climate change we would be facing just twenty years later. But Weiner understands that the greatest threat to diversity is human action, and he explores in details the way that this can impact upon species population and evolution. Sometimes, the tiny changes don't get fusioned back together. And tiny differences become permanent transformations. What drives the first widening wedge? It is... a little like the splitting of an amoeba: one population goes one way and the one goes the other. You have one vessel, one gene pool, and you end up with two. And the beginning of the splut can be a very small thing,... Even a detail that has no adaptive significance can make all the difference in the world. In other words, the origin of species can lie in the kinds of small, subjective decisions and revisions that in our species come under the heading of romance. Sexual selection isn't the only way that species diverge, though it does seem that the shapes of beaks of finches are one of the key things that potential mates look at when hunting a partner. Perhaps key to finch evolution is the way that environmental changes, such as droughts, force a wedge between birds with different lengths of beaks. In examples studied by the Grants, we have drought conditions favouring long and short beaks. The gap widened as the drought continued, and the longer this went on, the harder it would have been for random mating to bring them back together again. 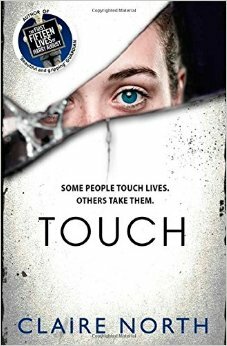 With any book that has such extraordinary detail and is written so well, it's difficult to summarise it all in one review. One thing did strike me though. Weiner is able to write brilliantly because, in part, he is describing the extraordinarily persistent and detailed work of a small group of professionals over many decades. The work of Peter and Rosemay Grant is at the heart of this work, but so are many other scientists. That they were funded to spend years of their lives on an isolated island measuring beaks and observing finches' mating has been crucial to how we have begun to understand evolution. It is worth thinking about this when universities cut their budgets. Jonathan Weiner's excellent book is one of the best introductions to this topic that I have ever read. 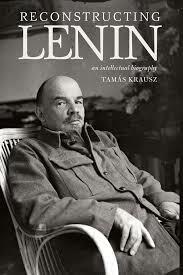 It deservedly won the 1995 Pulitzer Prize when it was first published and remains extremely readable and relevant today. It would be fantastic if it could be updated with more on the work of Grants and their colleagues since 1995, as well as further discussion on global warming and its impact on the Galapagos Islands. But even so, this is well worth getting hold of. To what extent are those that do not speak out guilty when atrocities happen? This is one of the themes of this very funny, but extremely dark and bleak novel. 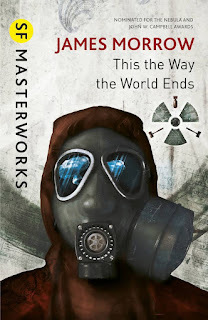 George Paxman is an ordinary worker, a tombstone engraver, whose attempts to get a protective radiation suit for his daughter leads to him being charged with culpable guilt when humanity is destroyed by nuclear war. Alongside the generals and politicians whose only strategy to stop nuclear war was to build more weapons, George is put on trial by the ghosts of those who were never born. 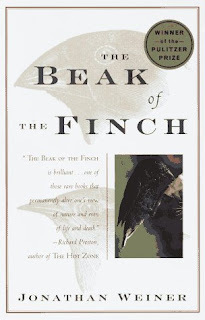 First published in the 1980s this is a novel that is clearly influenced by the anti-nuclear war movements. The arguments for nuclear weapons are brilliant pastiches of the pro-war ideas that continue to be used to justify the bombing of other countries or the renewal of Trident nuclear submarines. Though the threat of nuclear war has retreated with the collapse of the USSR, the book feels surprisingly relevant to an era of seemingly unending war. There are no happy endings here. Its nuclear war after all. It cannot end well. But the novel grips till its grim end, and the laughs are tinged with sadness. 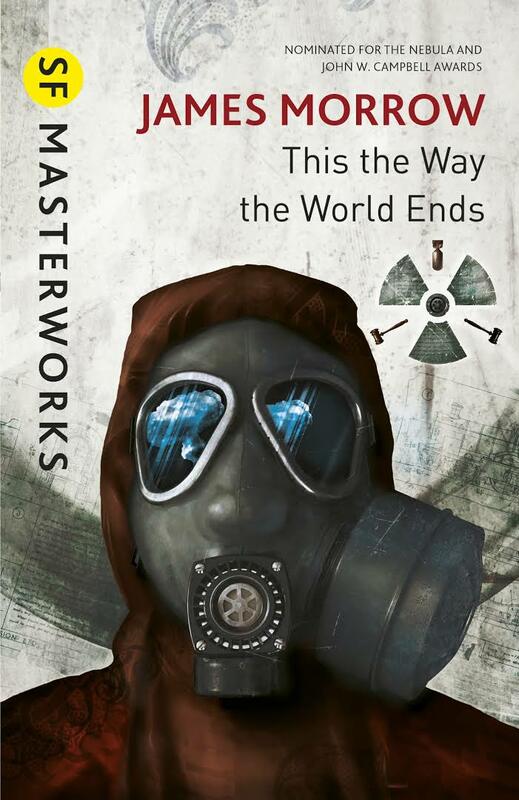 Justifiably republished as part of the SF Masterworks series, this is one of the best SF novels I've read. This short book is a detailed contribution to the discussion on responses to the question of the poor in early modern England. The question is an important one, because on it hinges the way that the state tried to both conceptualise the question of poverty and deal with it. 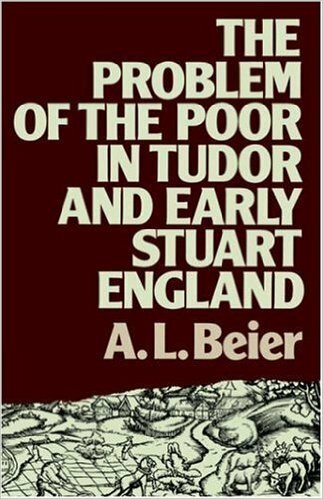 suggest that a third to a half lived in or near poverty in the 1520s and again in the 1670s... thus England began the Tudor and ended the Stuart age with a great army of needy persons, possibly the majority of the country's inhabitants. There were of course short term fluctuations, which depended mostly on the success of the harvest. We know little about what life was like for the poor, though as Beier points out it was hard. We can get some indication from prices and wages. 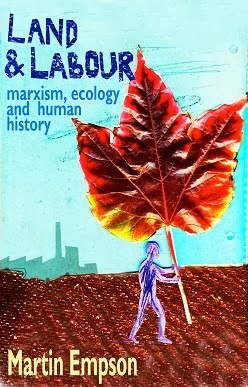 Between 1500 and 1650 there was a "sustained" rise of about 4 percent in prices for this period, but "real wages for agricultural and industrial labour actually fell by up to 50 per cent in the period". This was closely related to the growth in population which produced a surplus of labour holding wages down. there was no solution to the Tudor and early Stuart poverty problem, short of a social revolution (always a remote possibility) in which wealth and power were radically redistributed. Just the same, officials intervened precisely to ensure that that did not happen. While the author argues many individuals were generous to the poor, the poor collectively were seen as lazy and wasteful, as well as potentially rebellious. Beier argues that there were three lines of thought that led to state action on poverty. One was the fear of rebellion. The other was the belief that society was an "organism" were each section of it played a role in keeping the whole healthy. 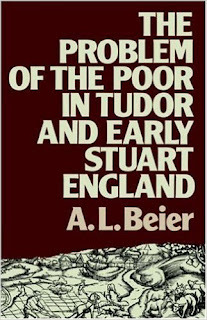 The third was what Beier calls "Renaissance humanism", a belief that the poor could be improved by education and assistance - though in particular this meant attacking "idleness". a powerful weapon for checking poverty on a national scale, funded by statutory taxes and administered by state officials. In the Europe of 1650 that was no mean achievement and undoubtedly contributed to England's long-term social stability compared with other states. it is unlikely that the position of the poor was transformed by weekly doles and the rest, any more than that of today's is by social security payments. But for the ruling elites who instituted and administered the legislation, the poor-laws had positive results. They protected them from a host of disorders that might otherwise have threatened their social supremacy. Those ruling elites didn't survive the next half century. 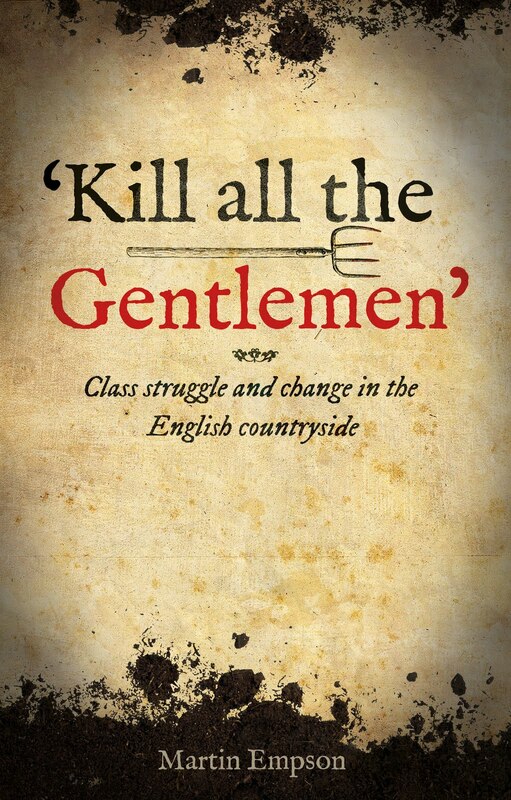 And, as the British government is currently eroding the welfare state, it is worth remembering that the origins of the poor laws and welfare lie in ruling class fear of those at the bottom of society.